Not to be a whiner, but I reeeeally want to get back to just writing songs again. Thanks to Liberty Media and SIRIUS/XM… nope. Today is a holiday (Happy New Year to those who celebrate), so Senators won’t be in their offices (staff will), but beginning tomorrow, Tuesday, lobbying against the Music Modernization Act will begin in earnest. We need to act TODAY! Creators and our advocates must be a strong presence on Capitol Hill this week (let me know if you can be in DC!). 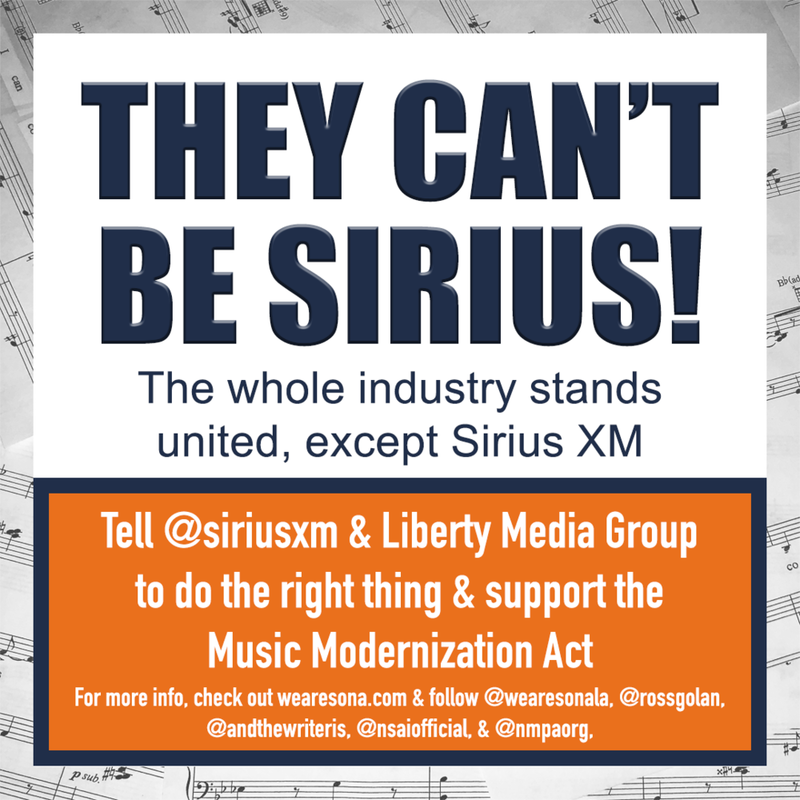 Push back against @siriusxm preemptively and PUBLICLY! Threaten to cancel your subscriptions and boycott the station. Remember this is a historic chance for reform. If they successfully block the bill, we’ll remember. Ask SIRIUS/XM DJ’s and artists with channels to pressure SIRIUS management internally. Continue to ask senators to co-sponsor (only 27 to go!!). Ask Senator McConnell to call for a vote on the MMA. Here’s a video from SONA’s Shelly Peiken letting the #MusicArmy what’s going on!